Support for Excel / Office 2019. Renamed the program to "Invoice Manager for Excel", as this new name more clearly and accurately describe what it does. All existing licenses for Uniform Invoice Software are valid for this new release. If you upgrade from Uniform Invoice Software, your existing template and database will work fine. Dynamically show product image or service scenario image on your invoices, quotations and purchase orders. See the sample at Image and Picture on Invoice, Quote and Purchase Order. The "About / Email" dialog box, which could be opened by clicking the "Contact / Email" button on the "Invoice" ribbon tab, now allows you attached your invoice template and database file easily. If you are looking for technical assistance, don't forget to use this new feature. Programmable COM add-in (Enterprise edition only) interface. Now you can call all the major features provided by Invoice Manager for Excel from your own VBA macro code. See the sample at Advanced Invoicing Format - Email Is Required Before Saving Invoice. Options for controlling how the on-sheet picker works. You can now disable / enable the on-sheet picture separately for each section of your invoice form, quote form and purchase order form. To look into these options, click "Settings" and then go to the "Lookup and Picker" tab. The search bar now allows you to perform "Search within Results" searches. The "Add PayPal Button" command was moved inside the "Tools" menu on the "Invoice" ribbon. This release added back the subtotal feature of the "Sales Report". Updated and fixed some help page links. On some platforms the data list windows slow down when there are large dataset to load. This new release speeds up this process. With this new release UIS takes a new way to capture mouse clicks inside Excel. This improves performance. If you save a template to a different folder, Excel updates all the local links automatically. This new version fixes this by verifying and updating all the local links on opening the template. This quick update added / restored the support for Excel 2007. Now this latest version supports all the major Excel versions from 2007 to 2016. This version requires Microsoft Excel 2010 and higher versions. Uniform Invoice Software is no longer relying on the helper add-in program to receive click events from templates. So "Uniform Invoice Software Helper" is no longer required. All templates hosted on this web site are updated for this new version. This upgrade improves the "Design Mode" button by adding a new features that checks all the named cells on the "Invoice" worksheet, and lock / unlock cells according to the content of each cell -- if a cell has a formula assigned, it will be locked, if a cell does not have a formula, it will be unlocked. This automated process is executed whenever you exist design mode, which simplifies form design, since you're no longer required to check / uncheck the "locked" cell properties manually. Removed the options "Allow incomplete lines on invoice body" and "Allow zero line totals". These two options are enabled by default. The "Create New Database" feature now copies custom fields to the newly created database from the currently connected database. This applies to both Access database and MS SQL Server database. Fixed a bug that caused the "Invoices" data list window not being able to restore default search bar options in certain situations. Remember the state of the "Disable (Enable) on-sheet picker" button state. Remember the visibility state of the task pane (works for Excel 2010 and higher versions only). Remember the folder used for storing customer statement reports. Support for Microsoft Access ".accdb" database format. New option to hide the "Invoice" ribbon tab on the "Forms" tab of the Settings window. This quick / minor upgrade from 5.11 to 5.12 simplifies the macro assignment of on-sheet buttons. Now all the buttons on an Excel invoice template could be assigned with the same macro name "UISClickProc", without passing in the command name. The macro procedure (i.e. "UISClickProc") will detect command name based on the button name. For a detailed tutorial on how to create a command button from scratch, see Standard Invoice Template and Shortcut Keys. This major upgrade of Uniform Invoice Software changed the way how the buttons on the template are implemented. In previous versions, all the buttons were ActiveX controls. With this upgrade, the buttons are changed to text boxes with macros assigned. 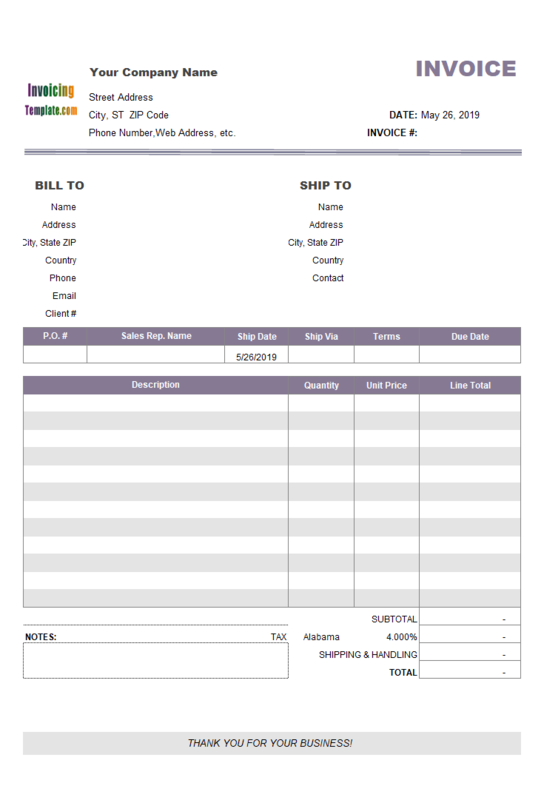 The default template (standard template) shipped with Uniform Invoice Software now contains on-sheet buttons too, in addition to those commands provided by task pane and ribbon tab. If you open a template created for previous versions, Uniform Invoice Software is able to convert it automatically, which means your existing template and database will work with this new version without problems. All major commands available on the template now has shortcut key assigned, which means you can execute commands by press key combinations, in addition to clicking on command buttons. Support for PayPal payment button on PDF invoices. Support for remote SQL Server database connection. This enables you to put your database on the Internet, sharing database across different locations. In addition to PDF invoice and Excel invoice, Uniform Invoice Software now also supports image invoice (set this option on the Extract/Email tab of the Settings) window. The new "Replace LOGO image" button on the "Invoice" ribbon tab provides a quick way for new users to replace the default logo image on the Invoice worksheet. Advanced database fields customization - with this utility the end-user is able to modify the size (or precision and scale of decimal fields) of database fields, and to change the text alignment (left, center or right) for those fields shown on the data list windows (for example, the "Customers" window that shows all the customers). Please refer to "Advanced Database Field Customization" in the help document for more information. "Include time with invoice date" option, located on the "Template" tab of the "Settings" window, allows you to store time information along with invoice date. The main user interface is now integrated with Microsoft Excel ribbon. With this release, the commands available on the Invoice ribbon tab are: Customers, Products, Invoices, Reports, Settings, Help, About, Hide Task Pane, Disable On-sheet Picker, Design Mode. Commands that are sheet-specific are now available on the task panes. For example, when Invoice is the active worksheet, the task pane shows commands: Clear & New, Save Invoice, Extract / Email, etc. This design makes it possible to remove almost all activeX controls from the spreadsheet. To make it easy to select customer, shipping address, products/items, shipping methods and sales representative names, a new tool "On-sheet Picker" was introduced. 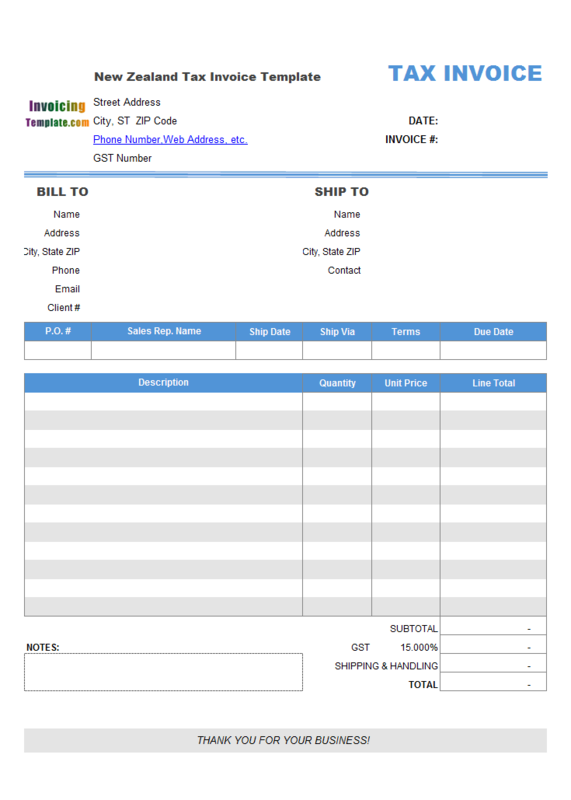 If you click a cell that supports the on-sheet picker, for example a cell inside the "Bill To" section, a small button appears below the active cell. Click the button to choose a customer from the list. The main forms, Customers, Products and Invoices are now modeless, which means you can execute other commands without closing these windows, for example, creating invoices with the "Products" window opening for refrence. Integrated email sender, with the ability of generating PDF and Excel format invoices. Added Custom Field Manager, which can be opened from Customers, Products, Invoices data list windows, makes it easier to work with user-defined fields. 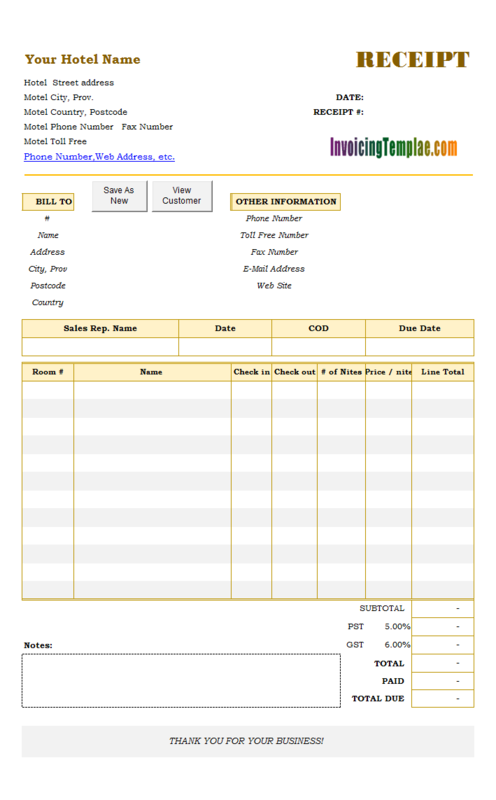 All main forms, including Customer Edit, Product Edit, Invoice Edit, Payment Edit, Shipping Address Edit, are now resizable. New option "Set default quantity to 1" was added to the Templates tab on the Settings window, which instructs Uniform Invoice Software fills quantity with "1" when a product is picked up on creating invoices. Added a "Colors" command to Customers, Products and Invoices data list windows, which allows you to set the status colors of customers (active, inactive and terminated), products (active and inactive), and invoices (pending, paid, void). Added a "Save & New" button to the Customer Edit, Product Edit and the misc. data edit windows. Fixed a bug that occurs when the template connects to an Access database, and the decimal symbol in "Region and language" setting in Windows control panel is not "." (dot), but a different symbol such as "," (comma). For example, it could happen when your Windows use "Russian" or "Finnish" languages. The bug may cause a "Data type mismatch in criteria expression" error message on saving an invoice. Added a new feature that allows you to print multiple invoices by a single click of mouse. To do this, select the invoices to print on the Invoices data list window, and then click Print on the toolbar. This is a completely redesigned version. Excel Invoice Manager is now renamed to Uniform Invoice Software, and it runs with Windows 8 and Excel/Office 2013 (both 32-bit and 64-bit). Before August 4, 2013, Uniform Invoice Software is named Excel Invoice Manager. To make your invoice legally compliant it must show certain information. This template, designed by InvoicingTemplate.com, meets the requirements by New Zealand Inland Revenue and is capable of tax (GST) calculation. If your business is selling to several states or countries, you may need to change the tax rates from invoice to invoice depending on shipping destination. This sample shows you how to implement a drop list to simplify the selection of tax rate. 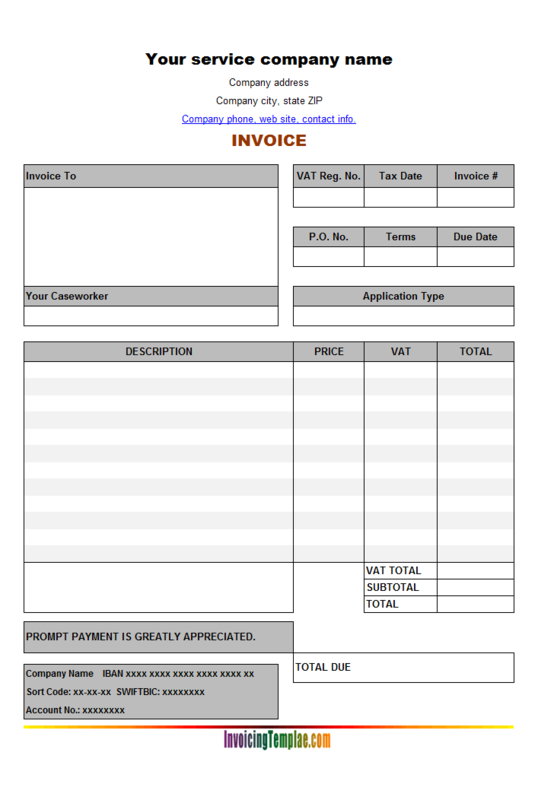 Service VAT Invoice Template is an Excel format VAT invoice template designed mainly for United Kingdom (UK) businesses, including fields designed for VAT such as VAT Registration No., a VAT column and a VAT Rate column.